Size (Inches): 9 In. X 3 In. X 2 In., 12 In. X 4 In. X 2 In., 9 In. X 4 In. X 3 In. We are engaged in providing our clients with Insulation Bricks that are basically the block of ceramic material. Widely used masonary construction, our bricks are known for their sturdy construction & effective functionality among the clients. 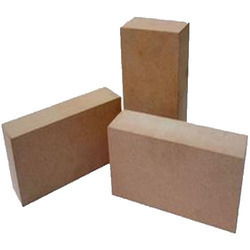 Rectangular Insulation Bricks, Size: 9 In. X 4 In. X 3 In. Size: 9 In. X 4 In. X 3 In. We bring forth for our clients a wide range of Insulation Bricks. These bricks manufactured using high grade raw material and advanced technology by our professionals. The offered bricks are widely demanded for applications like lining furnaces, kilns, fireboxes, boilers, etc. We are affianced in presenting to the industry a top class range of Insulation Bricks. We offer these at market leading rates. We are available with Hot Face Insulation Bricks (HFI) that are in high demand in the domestic market as well as the foreign front. Over the years we have been offering an unmatched quality range that has enabled us in acquiring a broad client base in the global market. 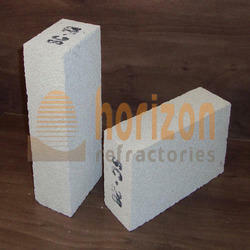 We offer a wide range of insulating bricks that includes Cold face & Hot face Insulating Bricks. This insulating material does not get affected by heat and is severely tested for not cracking easily under the effect of continuous heat & flames. These are resistant to abrasion and are heavily demanded in diverse industries across the world.